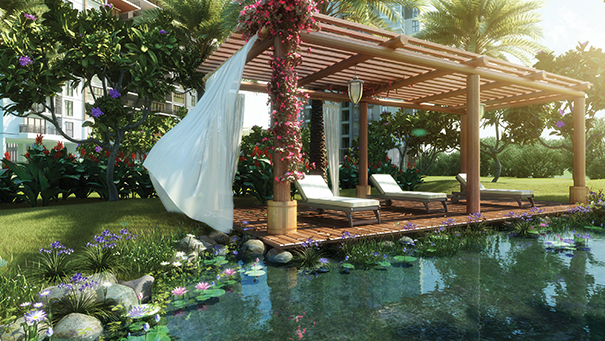 Brigade Lakefront: Soak in pleasant views from your wonderful abodes at Whitefield Bangalore! Brigade Lakefront is the name of a wonderful new residential enclave coming up in the Silicon Valley of India, Bangalore. The picturesque city of Whitefield is now a bustling IT/ITeS hub with offices of many global companies here. The quiet town has metamorphosed into a modern region where development is taking place at rapid speed. The modern haven is thus a great attraction for people who want to live close to work and with global standards. The Brigade Group has deep experience in the construction business. Their projects have yielded good returns, both in terms of high-quality living and ROI as well. Thus, they have many happy customers as solid testimony of their commitment to quality. Brigade Lakefront Whitefield is a beautiful campus that spreads over a whopping 20 acres. The location is chosen wisely as it has numerous amenities of social interest, each developed well. There are the likes of Brigade Metropolis, Brookfields, Inorbit and Phoenix Malls, Sathya Sai Hospital, and ITPL nearby. 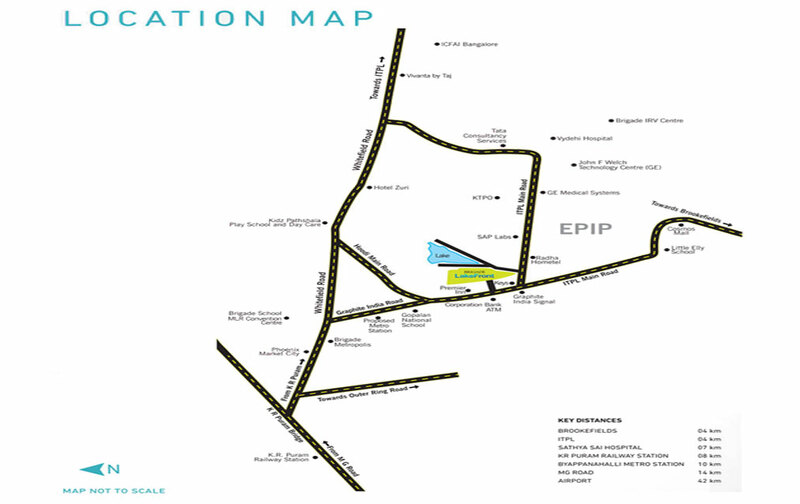 For connectivity, the Byappanahalli Metro Station and K R Puram Railway Station are nearby. Within the campus are plush and elegantly designed homes. The gorgeous campus has many dwelling abodes of sheer contemporary architecture for maximum comfort. There are 2, 3 and 4 BHK alternatives, to cater to a wide span of varying requirements here. The areas and layouts range from 1150 sq. ft. to 3360 sq. ft., almost 3 times the smallest size. Hence there is an eclectic mix of dissimilar homes here. Brigade Lakefront Bangalore has all the best amenities that help its residents enjoy the many aspects of a fun-filled life here. There are sports facilities for games enthusiasts, with special courts for basketball, badminton, tennis and a pitch for cricket. The kids have their own play area; there is also a mini-theatre, a clubhouse, rooftop swimming pool, gym, meditation centre, multipurpose hall and a lot more! Dedicated car parking, smooth lifts, open green lungs, landscaped parks, power backup, water supply and security staff make this a safe and convenient place to stay. Investing here will mean that if you are an end-user, you will get the best of comfort and a fine style of living here. Brigade Lakefront Price is actually reasonable. The price ranges from Rs. 52.58 Lacs and surges up to 2.62 Crs* For those looking to make their investments grow, this will yield good returns in the times to come, due to the sound location and wonderful features.